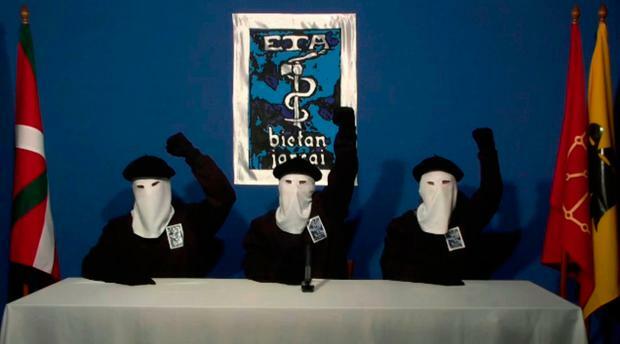 Basque separatist group ETA has completely dismantled all its structures, ending a 50-year guerrilla campaign, it said in a letter dated April 16 and published by online newspaper 'El Diario'. The group had been expected to announce its final dissolution later this week, after its ultimately unsuccessful drive for an independent state in northern Spain and southern France that killed 853 people. "ETA has completely dissolved all its structures and ended its political initiative," said the letter, which 'El Diario' said had been sent to several Basque organisations. ETA (Euskadi Ta Askatasuna, or Basque Country and Freedom) declared a ceasefire in 2011 and handed over weapons in April 2017, bringing Western Europe's last major armed insurgency to a close. These decisions were aimed at "shaking off the situation of the last decades and building a future from a new starting point," ETA said in the new letter. Anger in the Basque region of northern Spain over political and cultural repression under the dictatorship of General Francisco Franco prompted the founding of ETA in 1959. Violence escalated in the 1960s and Franco's regime responded in kind as the group assassinated politicians, including prime minister Luis Carrero Blanco, and officials as well as bombing public places. Attacks including a 1987 car bomb at a Barcelona supermarket, which killed a pregnant woman and two children, horrified people in Spain and abroad, and effective crackdowns by Spanish and French police weakened the organisation. Polls on support for independence vary, but one carried out in November by the University of Deusto in Bilbao showed just 14pc of people in favour. ETA apologised earlier in April for the harm caused to victims and their relatives. The April 16 letter said that while ETA is now consigned to history, the drive for Basque independence would continue. "The conflict did not start with ETA and it does not finish with the end of ETA's journey," it said. Responding to the announcement, Spanish interior minister Juan Ignacio Zoido vowed to keep investigating unresolved crimes attributed to ETA. He said police will "continue to pursue the terrorists, wherever they may be".